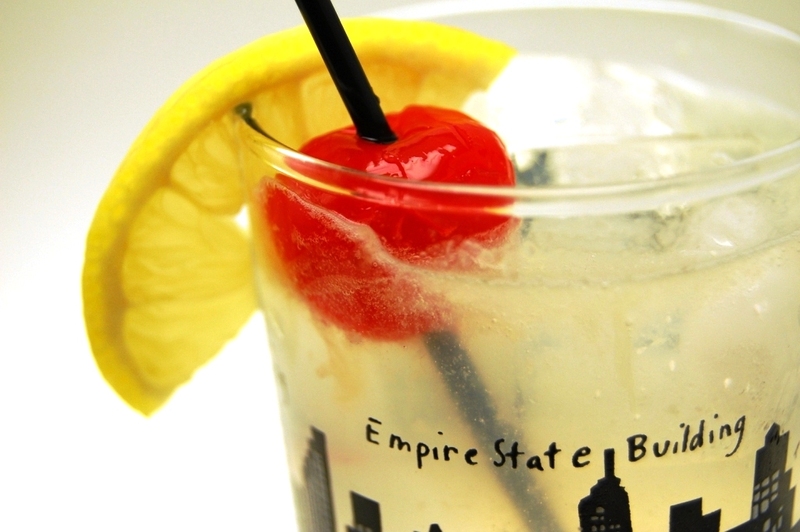 Well-documented cocktail lore has it that the Tom Collins began as a sort of name-game hoax circa 1874. People would prank their friends by telling them that a Tom Collins had been speaking ill of them in a bar just down the road. When the slandered walked into said bar demanding Tom Collins, they'd be told that he just departed for another nearby watering hole, and so on. (It's oddly comforting that people still found stupid ways to waste their time before television.) Eventually, enterprising bartenders got in on the joke, and a crisp refreshment was born. Poorly documented family lore (on my Mom's side; Lorre lore has been quite meticulously researched) has it that "That Girl" actress Marlo Thomas was so named thanks to a chance encounter over a few cigarettes between her father, entertainer Danny Thomas, and my maternal grandfather, Thomas Marlowe, outside a jazz club in Newark, New Jersey, sometime in the late 1930s. After dispensing with the usual pleasantries, my grandfather pointed out that they had the name Thomas in common. Danny Thomas asked him his last name. When my grandfather replied, “Marlowe,” Danny Thomas told my grandfather that he really liked the name. So much so that a few years later he named his daughter Marlo. All this history became slightly more relevant to me when my Mom gave me a bottle of Marlow's London Dry Gin for Christmas -- then slipped back into obscurity just as quickly. Besides the fact that I've yet to find anything about Marlow's gin online, I've also discovered gaping holes punctuating the old Marlo Thomas yarn. Marlo Thomas was born in 1937, which means my grandfather was 23 or younger when this conversation took place. By itself this bit of information is not that problematic, however pair it with the fact that Danny Thomas didn’t rise to fame until after 1940 and the supposed timeline seems less likely. Perhaps most damning, Marlo Thomas’s full name is actually Margaret Julia Thomas and the name "Marlo" was supposedly a childhood mispronunciation of Margo. I should've known better, I suppose, when my mother's quick e-mail synposis of this story concluded with, "Feel free to add what you please. Both people in the conversation are no longer with us." Combine gin, lemon juice and simple syrup over ice in a Collins glass. Stir briskly for several seconds. Fill glass with club soda. Garnish with lemon and cherry. While you can buy Collins mix in your local liquor store, and most bars will just use lemon-lime sour mix, I highly recommend going with the fresh lemon and simple syrup. The fresh ingredients transform this drink from high-fructose hot mess to delightfully refreshing. The amount of simple syrup you use is strictly a matter of taste. 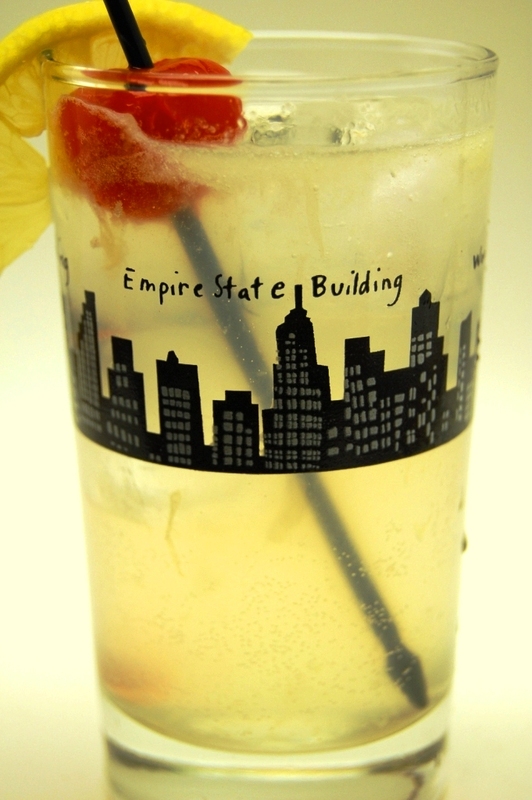 The Tom Collins is meant to be a bit sour, how sour yours is is entirely up to you.